Building and exploring a database of fairy tales in TV. 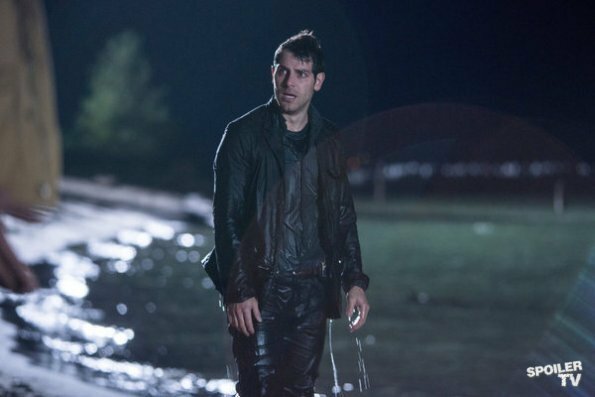 When it comes to fairy tales on television, the big heavy hitters are, of course, NBC’s Grimm and ABC’s Once Upon a Time (OUAT). Both of these fairy tale shows are live-action and share a protagonist that is introduced to the hidden, fairy tale world. 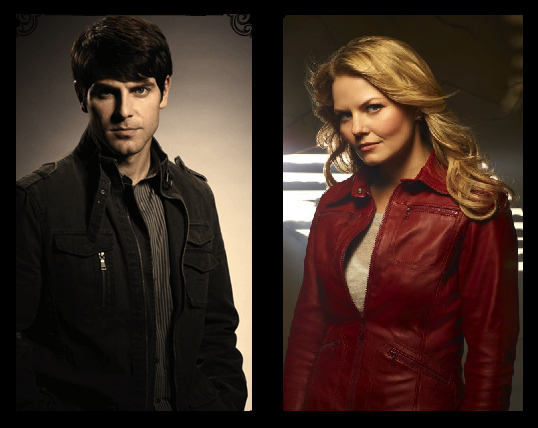 These protagonists, Nick from Grimm and Emma from OUAT, first inhabited our world—Nick from Portland, Oregon, and Emma from Boston, Massachusetts. In the course of the shows, both Nick and Emma encounter the other-wordly. Nick unearths a hidden society of fairy-tale and dark creatures in his very own Portland, while Emma discovers that sleepy little Storybrooke, Maine, is actually a cursed town of fairy tale characters. It is partly this dichotomy—the real with the fantastic, the everyday with the magical—which makes these shows so accessible for modern-day viewers. But how do these shows utilize our world as setting? To explore this, let’s look at three categories—Landscape, Culture, and Landmarks—and grade how each show features our world. Portland has gorgeous scenery: lush and green and wet, wet, wet. 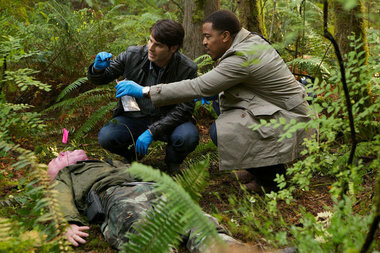 And fortunately, Grimm makes use of this backdrop goldmine. 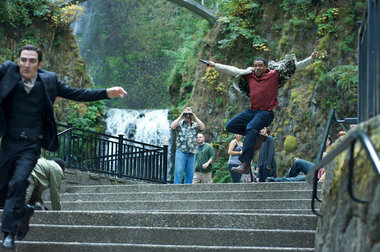 Nick and company will often trek into Portland’s dense forests to search out the latest fantastical creature. Local waterfalls, ferns, and giant redwoods are often featured on the show, and are linked to the presence of supernatural creatures. The dazzling Pacific waterfront is also heavily featured in Grimm, which comes in handy when one is searching for mermaid-like Naiads, who mate in these waters. So not only does this provide a wonderful aesthetic for viewers, but it also plays a role in the plot. For example, when Nick needs to dispose of tainted evidence, as one does, he chooses to throw it into the Great Pacific. Portland famously has a popular slogan of “Keep Portland Weird,” with “weird” incapsulating the self-defined uniqueness, eccentricity, and progressiveness of Portland and its inhabitants. As a rule of thumb, don’t stereotype, but Grimm’s Portland is generally…normal. The “keep Portland weird” may be a subculture, but it’s a subculture that barely makes its way to the screen. We get green cyclers, yes, but no indie music and the only foodies in this gastronomical never-never-land are Monroe and Drew Wu. Sadly, this attitude doesn’t transfer to the screenwriting. If there is one character that embraces Portland’s “weird”/”hipster” culture, it is probably Monroe, the sweater-wearing, clock-obsessed Weider Blutbad (a species also known as the Bad Wolves from the Grimm tales). He has typical hipster characteristics—beard, plaid, antique train collection. All that’s missing is the cliche beanie and glasses, but perhaps even that is even too mainstream hipster. 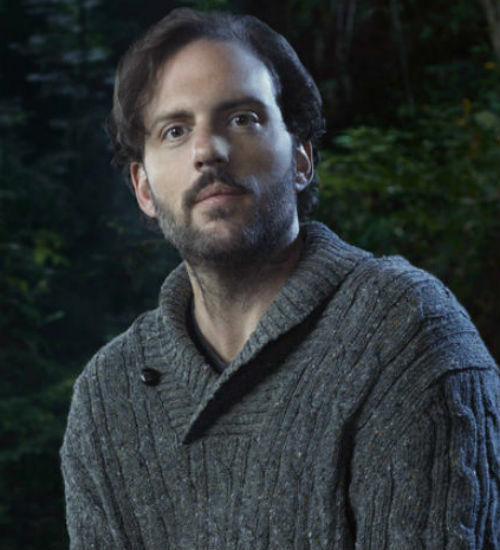 With Monore as the exception, the other Grimm characters have (outside of their secret double-life) despairingly average alter-egos, Nick especially. Nick-as-policeman appears to have no interests outside of crime and his girlfriend Juliet. This not a man you want to double-date with, let alone take a tour of Portland with. Think of Portland: what comes to mind? Hopefully, the dazzling bookshelves housed at Powell’s, the largest used and new bookstore in the world. Or perhaps the exclusive candy corn-encrusted or cocoa puffs-topped doughnuts at Voodoo Doughnuts. 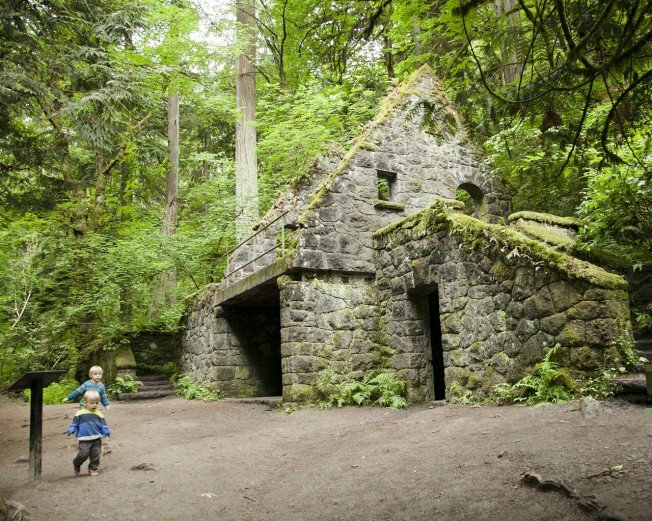 Or perhaps other local landmarks, such as “The Stone House” in Forest Park or Multnomah Falls. These are Portland treasures, and to see two out of four featured on Grimm ain’t bad. Look for the next post, where we will look at Once Upon A Time’s Storybrooke! This entry was posted in Watching TV and tagged Grimm, Once Upon a Time, OUAT. Bookmark the permalink. Here lie the travails of a group of scholars creating an online database for the study of traditional and evolving fairy tales as portrayed on television. We welcome any and all comments, particularly if you know of a TV show that references fairy tales that's not in the database. Happy hunting!